The Christmas season is packed full of all of the joy and excitment of the holidays--Christmas cookies, playing in the snow, putting up the decorations--but for PJ Stanley, the mysterious present under the tree from Grandpap means the big day can't come soon enough. When Christmas morning finally does arrive, however, PJ is so caught up in the moment that he almost misses the best part of all. 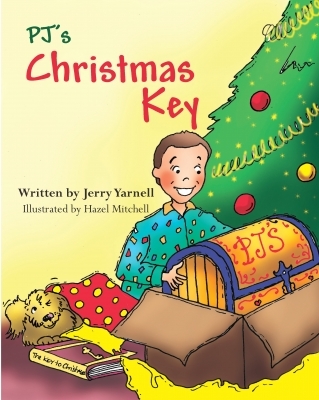 In this touching story about the true reason for for the season, Pastor Jerry Yarnell takes a grandfather's special gift to his grandson and reminds up that Jesus is the Key to Christmas! Pastor of Saint Micheal's Lutheran Church and author of Battle Lines. "When he tried to open the treasure chest, he found it was locked. He needed a key. PJ looked all around for the key, but couldn't find it. His Grandparents had forgotten to send it! He coudn't get to what he was sure was his..."